We are happy to welcome everyone to the fantastic autumn. Gold Coast warmly welcome different people from different regions. 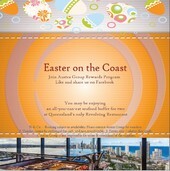 Many from across the globe seek the lifestyle that South East Queensland has to offer. Here, you can find the space and freedom to enjoy the good life that most people dream about. The Chinese New Year celebrations have led us to some great changes including new segments to our newsletter and website. Replacing our upcoming events segment will be a new 'What's On' section, a place where we can share with you one of the many fantastic things to see or do on the Gold Coast. We are happy to welcome everyone to the New Year. The new year often brings with it new beginnings and a fresh outlook. We are looking forward to seeing what 2017 has in store for us. 2017 brings us one year closer to the Commonwealth Games, hosted here on the Gold Coast, and with it many key developments in what remains one of Australia's fastest growing regions. The year is coming to a close, and what a year it has been. Many things have changed this year and the Gold Coast continues to grow. Commonwealth Games are drawing closer, blockbuster films continue to use the Gold Coast as a top location and infrastructure is set to expand. 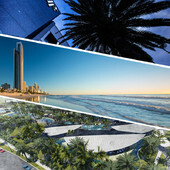 The Gold Coast's famous summer weather is starting, holiday season has almost begun and the market continues to rise. Though many things are changing in the world the outlook remains the same in Australia, which continues to have a stable market, not just for owners but for investors also. We are happy to announce a number of new upcoming developments and look forward to helping you find what you are looking for. The nights are getting cooler but there is still plenty of sunshine on the Gold Coast. Enjoying this kind of weather is all part of living on the Gold Coast. After looking at the current property forecast, I have seen that the Gold Coast is set to experience not only continued growth, but also a shift in outlook. It is a brand new year! We hope you enjoyed the Christmas holiday break and are having a very Happy New Year! The Queensland property market, particularly the southeast is tipped to have its moment in 2016. It is that Happy time of year again. Christmas and New Year are just around the corner. Gold Coast is in the preparation of celebrating these biggest events around the year. The Gold Coast is in the midst of major events including celebrating the just accomplished "The race that cheers the whole nation" - Melbourne Cup 2015, as well as the preparation for hosting the Commonwealth Games in 2018. 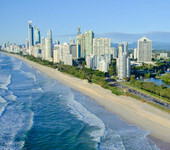 With the beautiful weather on the Gold Coast, it is no wonder many visitors fall in love with this stunning city. 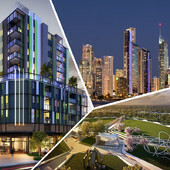 The Gold Coast is luring the majority of foreign buyers in Queensland. it creates an ‘outsiders perspective’ on the many benefits the state has to offer to investors and owner occupiers. Thank you to those who participated in our Anniversary Survey. We treasure your input and we strive to provide our best possible service to meet your needs. If you missed our survey last time, you are more than welcome to click on the link below and let us know your feedback. It has been one year since we moved into our brand new office, we take this opportunity to thank each of you for being part of our Austra Family. At Austra Group, we are committed to continually improving the level of service we provide. We would love to hear your feedback so we can work out ways to serve you better. Austra Group have wonderful rewards from our Rewards Program. So just sign up today, tell your friends and have fun! If you are visiting Gold Coast during the Easter break, feel free to contact our team and you are always welcome to come by our office to say hi. Welcome to Austra Group e-Newsletter issue #5. At Austra Group, we like to spoil our team members and their families. That is why each of our valued team members get to enjoy one hour relaxation massage each month and here's your chance for you to get spoiled as well. Welcome to the first Austra Group eNewsletter of 2015. Our Chinese version is now available for our reader. "Ni Hao Ma?" means "How are you?" in Chinese. Let's stay connected by liking our facebook page.